Do you know what name means ‘honeybee’? Home arrow_forwardFeatured Animal Rescue Transport • Featured transportarrow_forwardDo you know what name means ‘honeybee’? Meet this sweet girl, named Nahla! She had a very loving home with her family in Oklahoma. Nahla and her owner even shared a birthday! Her owner left for medical school and the family realized they could not give Nahla what she needed. The family wanted to make sure they were giving Nahla the best life that she deserved. 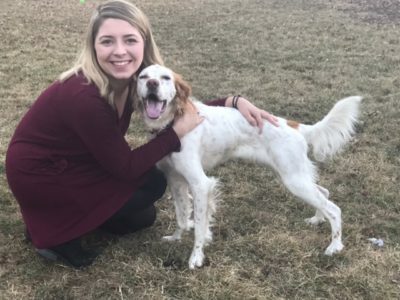 They decided to give her to a local rescue, A Better English Setter Rescue. Nahla went to a foster in Iowa in February. 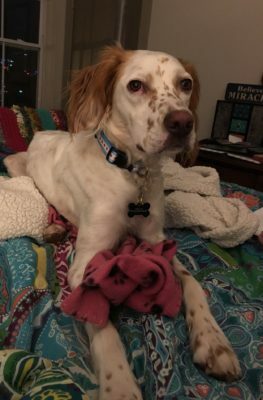 She quickly adapted to her new foster home where she had a furry friend, another English Setter Wrigley. Nahla and Wrigley became fast friends! There were also three cats that would run when Nahla came close. She quickly learned this was a new game of chase. This was the families first foster dog and they say they could not have been any luckier to have Nahla! Her foster family said she was an amazing puppy and they were happy to celebrate Nahla’s first birthday. They spoiled her with treats, toys and playtime outside. Nahla and her foster brother, Wrigley, could play outside for hours together. They would even take naps under the sun together. Nahla was adopted by a family in North Carolina! Thanks to Above and Beyond Transports and all of the volunteers involved, Nahla was transported over 400 miles, from Cambridge, Ohio to Charlotte, North Carolina to her forever home. 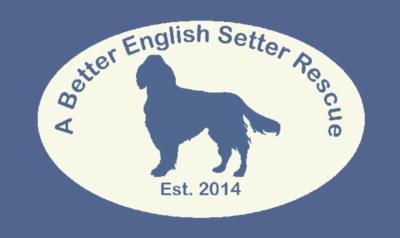 A Better English Setter Rescue’s goal is to help unwanted, homeless English Setters by providing them a loving foster home. When the dogs are in foster care they will be altered, evaluated, and receive all vetting needed for adoption. Each foster home will evaluate personality, behaviors and activity level.